Fervent foodies have always made a beeline for Sanibel Island - the quaint little Southwest Florida paradise cherished for its shell-strewn white sand beaches, crystalline waters, and impossibly laid-back vibe. Located along the Gulf of Mexico just a short 30-minute drive from the culinary hotspot that is Fort Myers, it offers plenty for eaters to get excited about. We trawl the island to find out who is dominating the dining scene. Where: At 3111 West Gulf Drive. The scene: There’s a huge local buzz around this award-winning beachside eatery, mostly for its olde-worlde Florida heritage décor, lively after-dinner dancing, and noble menu of Sanibel-style cuisine with a contemporary kick. Opened in 1885, it’s remained one of the island’s most cherished spots for sinking cocktails and tapas at sunset, tucking into melt-on-the-tongue raw fish platters and meaty delights, and getting your groove on as the night wears on. The top-notch menu changes seasonally and there’s always something startlingly original to try. Signature dishes: Chef Aziz has forged his own culinary identity by adding a distinctly modern cooking style to well-known staples. 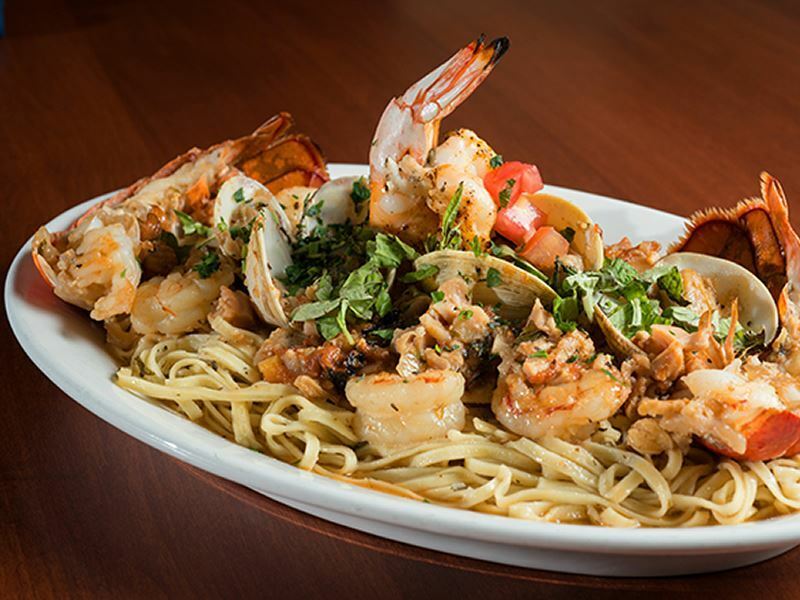 Start with Baked Spinach Oysters, Colossal Lump Crab Cake or Jumbo Crab Crespelle - and follow with large-plate mains such as Grilled Diver Scallops, Hazelnut Crusted Tuna, or the signature Angry Lobster Arrabiata sautéed in a spicy Tuscan pappa al pomodoro sauce. Try to leave room for the delicious Florida Key Lime Pie - or go for the Granny Smith Apple Tart, Tiramisu, or Trio-Of-Traditions sorbet selection. Where: At 1625 Periwinkle Way. The scene: Opened in 2009, Melissa Talmage’s eponymous little spot is one of the best in town for its on-trend eats, open-plan kitchen, and acoustic jazz sets on select evenings. There’s an excellent selection of small plates that come in two sizes (petite and regular) as well as hearty and artfully-presented entrees that will have you drooling on the tablecloth. Equally standout is the slick service, cosy décor, and clever cocktail menu - most fabulous of which is the signature Sweet Melissa made with Jack Daniels, gin and peach schnapps, and a wedge of frozen peach. Signature dishes: While the Fettuccine & Clams with Fennel, Grilled Smoked Beef Tenderloin, Crispy Soft-Shelled Crab, Bourbon-Glazed Pork Belly and Pan-Seared Duck Breast are all sensational combos, it’s the Fish Stew that really wows. So popular is this sumptuous concoction of shrimp, scallops, clams, mussels, fish, chorizo sausage and tomato saffron broth with Pernod Aioli that discerning locals have insisted it continues as a menu mainstay. For dessert, the Banana Pecan Strudel and Chocolate Torte are good excuses to give in to sugary bliss. Where: At 2407 Periwinkle Way. The scene: Opened in 2015 as the self-proclaimed “Sanibel Island Little Sister” to the decade-old Clam Bake in Fort Myers, this 50-seater pulls focus on authentic New England-styled seafood created with locally-sourced ingredients. Owned by Chef Mark Thomas and his wife Laurie, it’s already become one of the area’s hippest newcomers for its casual vibe and compact menu. Foodies can expect lobster rolls, stuffed quahogs, clam cakes, fried haddock, two different kinds of chowder (creamy New England and broth-based Rhode Island), and much more. Signature dishes: While the scaled-down and ever-changing menu tempts with all sorts of signature seafood and meaty delights, it’s the lovingly-prepared Lobster Roll that warrants praise. Elsewhere on the menu, you’ll find New England Steamers, Fish & Chips, Fried Chicken Sandwiches, Hot Dogs, and the rather Impressive Fisherman’s Platter that comes with cod, scallops, shrimp, Ipswich clams, fries and coleslaw. For those on a healthy kick, there’s speciality seafood salads made with lobster, tuna, crab meat, haddock, and shrimp. Where: At 2500 Island Inn Road. The scene: Named for Randy Wayne White’s much-loved fictional marine biologist and ex-CIA agent, this upscale sports bar, seafood restaurant and steakhouse all rolled into one serves recognisable Caribbean dishes that are big on flavour. The setting is equally striking; think state-of-the-art décor complete with wide-screen TVs, a funky-looking wood and tin roof interior, and numerous seating choices including booths and high-top tables. Pick the right night, and you may be in for a meet-and-greet (or at least a book signing) with the best-selling author. Signature dishes: After working your way through the flatbreads (margarita, spinach and artichoke or shrimp scampi), move on to the Doc Ford’s Fish Fingers with special tartar sauce, the Texas Baby Back Ribs basted with a home-made sweet and tangy BBQ sauce or the Seafood Paella with jumbo scallops, shrimp, mussels, fish medallions, chorizo sausage and saffron rice. There’s also a separate bar for raw and steamed oysters, as well as a deep menu for craft beers, over 40 types of rum, and some of the island’s best mojitos. Where: At 2055 Periwinkle Way. The scene: Serving up a sense of place by honouring long-time islander Jimmy ‘Cip’ Cipriani, this charming eatery has been a much-loved island mainstay since opening in 2010. For those interested in local history, there’s a lot to get excited about; from the thick volumes of scrapbooks packed with letters and cuttings at the boat-shaped bar to the gorgeous artworks and murals that adorn the restaurant’s walls. And the food’s not bad either; expect gratifying contemporary-styled American fare that appeals to both committed carnivores and fish fans. Signature dishes: There’s a medley of seafood, pasta and steak dishes - all of which are infused with unconventional sauces. Order catch of the day that’s blackened with mango rum salsa or pan sautéed with lobster citrus butter - or try the Fried Buttermilk Chicken Breast topped with sage gravy. Desserts are equally tempting; especially the Chocolate Ice Box Cake, Sea Salt Caramel Cheesecake, and Apple Crumble Pie. Wash it all down with the Cip's House Margarita - a combo of Guervo Gold tequila, sweet and sour, fresh lime, and a splash of orange juice. Where: At 2761 West Gulf Drive. The scene: For a resolutely good menu that gives seafood and steak equally billing, this little hub has recently been spruced up with a modern décor scheme that’s minimal but welcoming. Expect an open kitchen, lots of gleaming woods, a good-looking bar, and plenty of artworks by highly-acclaimed Sanibel artist Myra Roberts - many of which are for sale. But aside from the done-to-perfection cooking, what’s really wooing the locals is the splendid on-site market for freshly-caught fish to take home. Ask nicely, and they’ll even add a choice of sauce. Signature dishes: The crab cakes served with a delicious caper tartar sauce and fresh fruit salsa could possibly end up being your most memorable. Other standout dishes include the Loaded Potato Skins with bacon, Jack cheese and scallions, the Seafood Trio with bronzed grouper, scallops and crab cake, and the cooked-anyway-you like Ribeye Steak. The sandwiches are worth discovering too, especially the USDA Prime Burger and the Grouper 17 - both of which come with a brioche bun, lettuce, tomato, red onion, pickle, and steak fries. Where: At 6467 Sanibel-Captiva Road. The scene: With fewer trippy Alice in Wonderland aesthetics than you might expect, this whimsical Gulf-facing bungalow seals the deal for gourmet-lovers looking for a culinary departure from steak and seafood. The stunning beach views alone are worth the visit, but the monthly-changing New American menu by owners Michelle and Kurt Jarvis along with the 100-bottle deep wine list have attracted somewhat of local following. There’s only a dozen tables, so reservations are highly recommended - especially at sunset. Signature dishes: Start with the Hudson Valley Foie Gras with rosemary and honey caramelised Asian pears - or order the Goat Cheese Pillow with roasted green onion, spinach, and strawberry and port wine reduction. Further headliners include the Rack of Lamb with Walnut and Cherry Pesto Crust, the Black Truffle Sea Scallops with Whipped Yukon Potatoes, and the Duck-n-Berry with pan-seared maple leaf duck breast and a mixed berry sauce. Save room for the to-die-for Chocolate Truffle Terrine made with bittersweet chocolate and cassis. Where: At 1244 Periwinkle Way. The scene: Flying the star-spangled banner for American cuisine has paid off for this eclectic white-cloth restaurant. Not only did it scoop the Best Seafood award at November’s Sanibel-Captiva 35th Annual Taste of the Islands Awards, but it also won the coveted The Taste of the Taste title, too. Comprised of two good-looking dining spaces - the casual Cloud 9 Grill and the more upscale Il Cielo - diners can expect a mix of meat and fish classics that have been given the luxury treatment with high-end, organic and sustainably-caught ingredients. Signature dishes: The starters are all big on flavour, but it’s the entrees that really shine. Mainstays include the Lobster Ravioli with shrimp, asparagus, tomato concasse, spinach and tomato-vodka cream, the Seafood Cioppino with Gulf shrimp, mussels, black grouper and bay scallops, and the Pistachio Crusted Colorado Rack of Lamb with roasted fingerling potatoes, lamb demi, baby carrots, and house-made mint jelly. For dessert, order the Chocolate Tropical Bavarian with pineapple, caramel, coconut honey, and chocolate-almond sponge. Where: At 2430 Periwinkle Way. The scene: It’s all about flavoursome and refined French food at this charming little bistro run owned Parisian-born Chef Christian Vivet and his wife Mari. The menu remains exactly the same as its sister restaurant Blue Windows Bistro in Fort Myers, so die-hard fans can expect a similar dining experience along with a wine list that’s huge and very drinkable. The only real difference at this newly-opened Sanibel spot is the décor; expect fleur-de-lis curtains, miniature Eiffel Towers, and carefully-placed nautical accents to give it much more of an island feel. Signature dish: The menu changes frequently, but you’re always rewarded with French classics such as truffle fries, frogs’ legs, onion soup, whole-seared quail and veal sweetbread for starters. Mains include Stewed Rabbit in a white wine reduction, Coq-Au-Vin with red wine, mushrooms, lardons and pearl onions, and the ever-popular Filet-Frites with hand-cut mignon steak, Parisian truffle fries, and a side of Béarnaise sauce. For dessert, the profiteroles filled with French vanilla ice cream and covered with dark Belgium chocolate sauce are just divine. Where: At 1100 Par View Drive. The scene: The close connection between art and food is nothing new, but the concept is clearly doing wonders for this upscale bistro and bar within Sanibel Island Golf Club’s clubhouse. Not only do diners get to peruse the eclectic collection by Markus Pierson (creator of the iconographic Coyote Series) hanging on the walls, but they also get to devour complex and intricate dishes that are both classic as well as cutting-edge. Equally exciting is the wine menu that has a strong emphasis on boutique labels from California and Oregon. Signature dishes: The spotlight is on the Coyote Chop - an appropriate choice for those keen to sample the world’s finest kurobuta pork from Snake River Farms served atop house potatoes with a sweet blackberry gastrique. Other showstoppers include the Blue Coyote Stew, the Miso-Glazed Chilean Sea Bass, the Herb-Grilled Lamb Chops, and the Thai Seared Ahi Tuna with udon noodles, red curry, coconut, onion, red pepper and shaved napa cabbage. For dessert, the delicious Chocolate Chip Cookies by Norman Love are as sinful as it gets.